Super cool. My original SLR, the Canon TX which is 40+ years old still works. 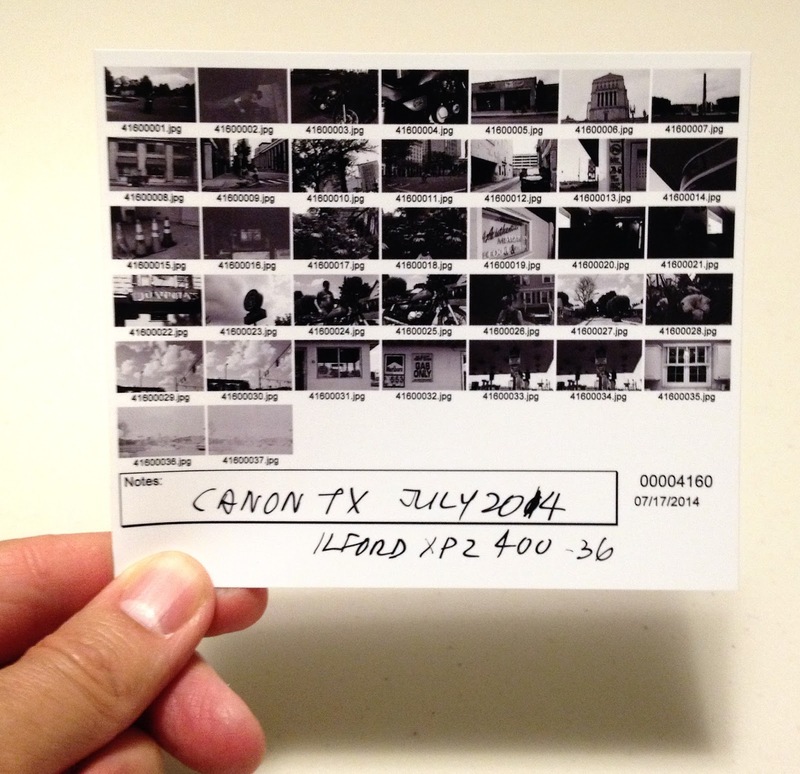 I got a roll of Ilford XP2 400 back today from Roberts Camera and the proof sheet proves it. I've loaded the images into Adobe Lightroom 5.5 and checked them out. For this film type and while using the Sunny 16 rule the images are best in full sunlight. I'll write a formal blog post soon. In the meantime it's cool to see that my very first SLR still works!